Fumbling with your promotions? 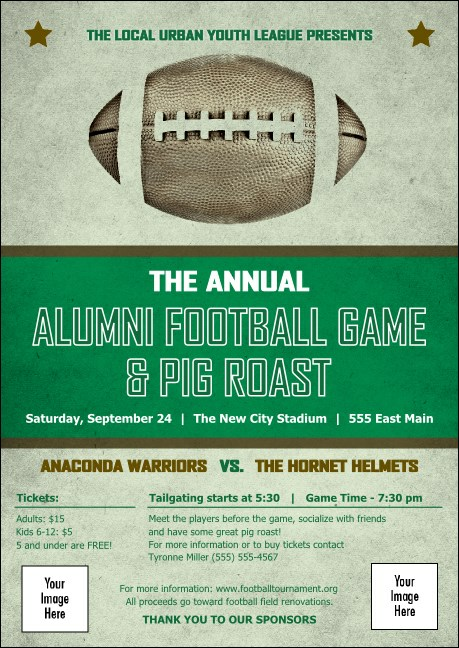 Recover your advertising quickly when you print Football Green Club Flyers and send them out before your big game. Each classic green Club Flyer features a cool, vintage design with room for two image uploads and a picture of an old pigskin on top.